Mustard greens are a tad bitter & I used to mix them with spinach to make palya/stir fry or saag/curry. Mustard greens are rich in Vitamins & very low in calories. They have the properties to detox our body & prevent cancer. 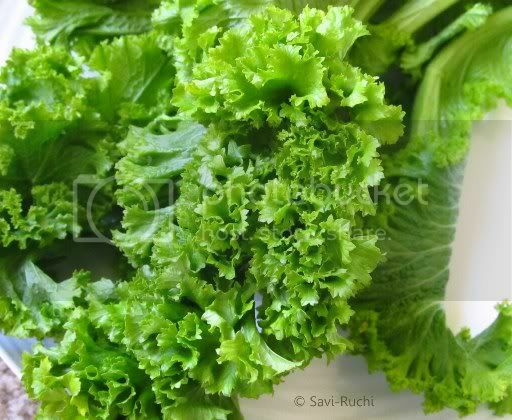 I used to get these greens easily at Singapore & after moving back to Bangalore, I could not find it. Now, after moving here, I get these greens in abundance. 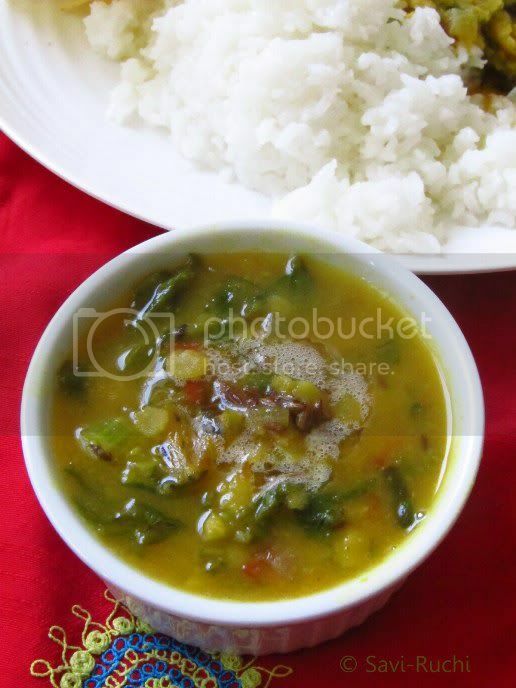 This time made a dal/thovve types with mustard greens & my family loved it. Mustard greens: 3 leaves, yielded around 2 cups of chopped greens. Wash the toor dal 3-4 times in water. Add 2 cups of water, turmeric, salt & cook in a pressure cooker for 3-4 whistles. Let it cool. Meantime, wash the greens, tomato. Finely chop the greens & dice the tomato. Heat oil in broad pan. When oil is hot, add cumin seeds. When seeds turn brown, add green chillies followed by onion. Saute till the onions are translucent. Add the tomatoes, salt, turmeric, coriander powder & saute till the tomatoes are soft. Throw in the finely chopped greens & cook till the leaves are tender(Around 4-6 mins). Mash the cooked dal & pour the dal to the greens mixture. Add 1/2 cup of water & adjust the salt. Cook the mixture on a medium heat for another 10-12 mins. Turn off the heat. Prepare the tempering. Add ghee to a small pan, when ghee is hot add cumin seeds. When seeds turn brown turn off the heat & add asafoetida. Pour the tempering over the dal prepared & cover it. Do not disturb for 2-3 mins, let the flavors soak in. Just before serving, add lemon juice, coriander leaves & mix well. 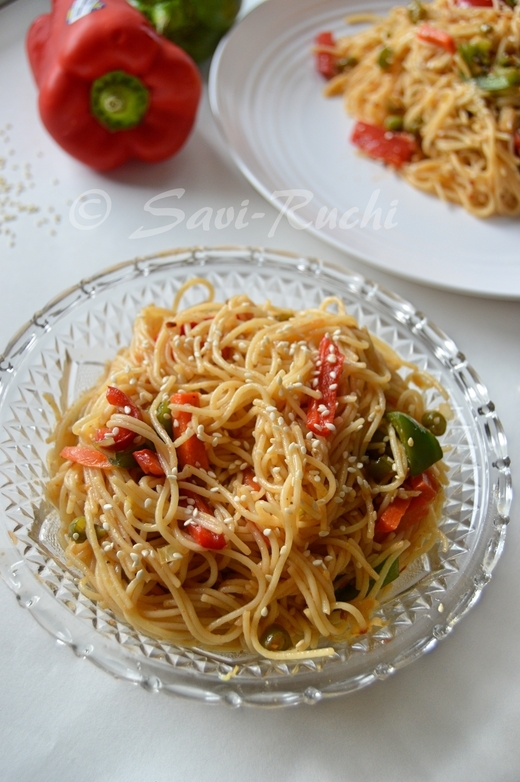 Serve it with rice or roti. Addition of garlic could add a nice twist to this dal. Since the mustard leaves are a tad bitter, it is better to add lemon juice at the end. 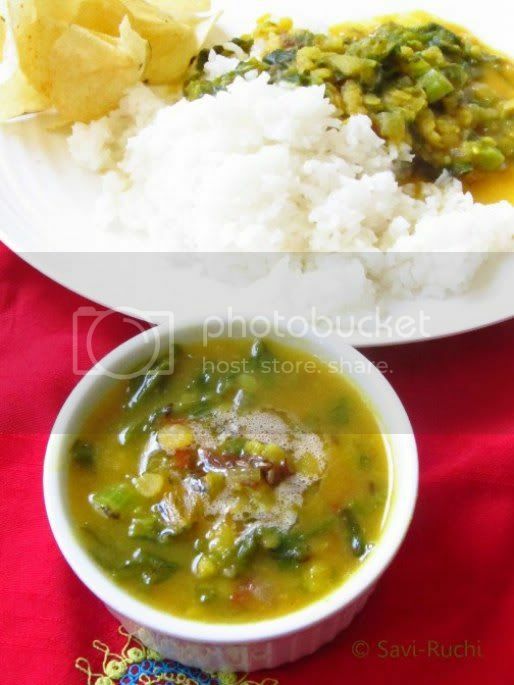 Toor dal could be replaced with split green gram/moong dal or mixture of 2-3 dals. This is inspired by one of the sandwiches I had recently. I looked for the recipe & found one. 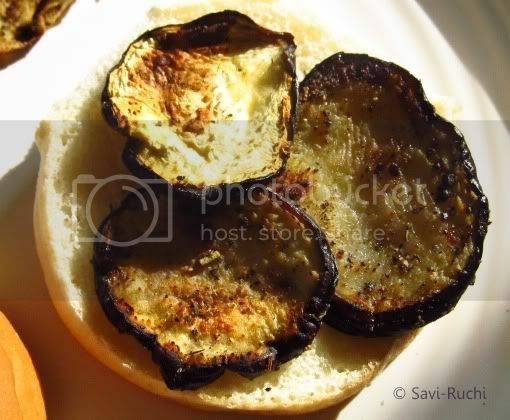 You are sure to like this if you like grilled eggplants! Cut the eggplant into 1/4th inch slices. Arrange them on a kitchen towel. Sprinkle salt on both sides & allow it to ooze out water. Let it sit for 10 minutes. Meantime, mix the olive oil, balsamic vinegar & salt. Mix them gently with a fork. Dressing1 is ready. Slice the tomato. 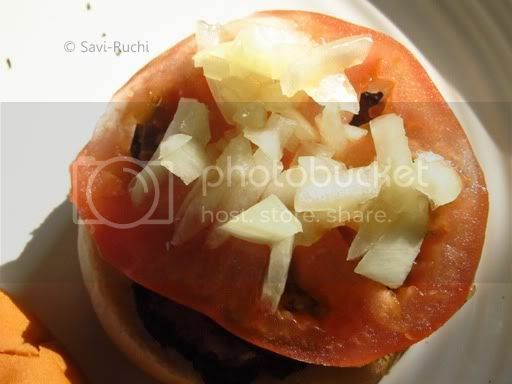 Roll the sliced tomato over the the dressing 1 prepared above. 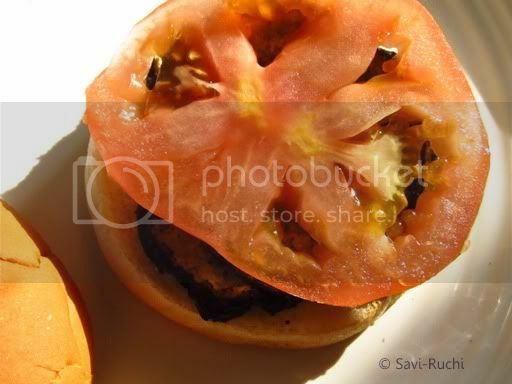 Remove the tomatoes & add in the onion to it. Add all the ingredients mentioned for grilling the eggplant in a large bowl. Gently fold in. Dressing2 is ready. Squeeze out all the water from the eggplant & brush the dressing 2 on both sides of the eggplant & grill* them for 3-4 minutes on each side. Cut the burger into half. Place 3-4 slices of grilled eggplant. 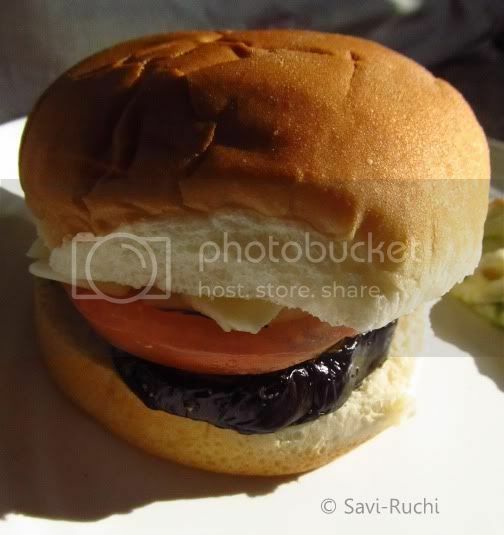 * I do not own a grill, hence roasted the eggplant using the griddle. Then the onions along with some of the dressing1. Finally add in the cheese slice & cover the burger with the other half. 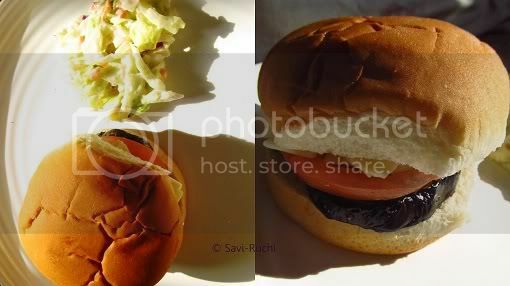 I had my burger with some homemade salad. It was heavenly! 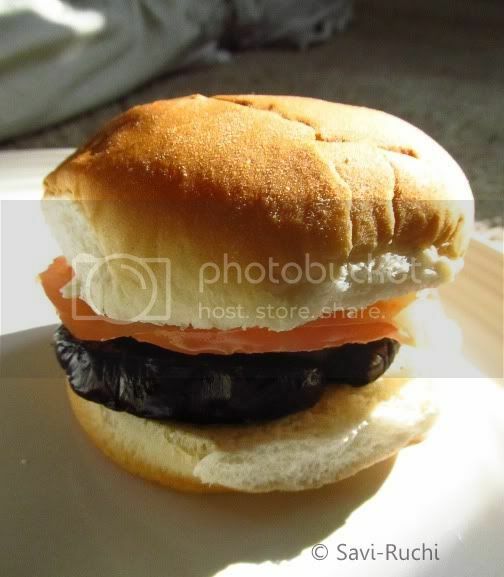 This is a great lunch box meal too. I have already packed it twice for the office.